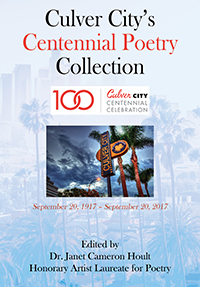 Culver City completed its one-year centennial celebration on September 20, 2017, exactly 100 years from the day Harry Culver received his City Charter. Paul Jacobs, former mayor and President of the Centennial Celebration Committee, said that during the year we all searched for words which could describe the pride and enjoyment we have experienced living in and visiting Culver City. 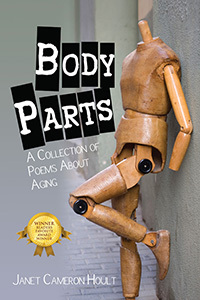 The Centennial Poetry Contest organized by Culver City’s Honorary Artist Laureate for Poetry, Dr. Hoult, who is the editor of this book, provided an opportunity to articulate our feelings in poetic form which simple words could not. This collection pays tribute to Culver City through the writing and reflections of its citizens and visitors and conveys a sense of pride and love for the city. Biographies and additional information from the Culver City Historical Society about Culver City makes this a special keepsake. 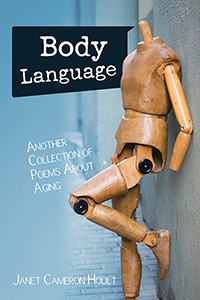 Dr. Janet Cameron Hoult, Culver City’s Honorary Artist Laureate for Poetry, organized the Centennial Poetry Contest and is the editor of this book. 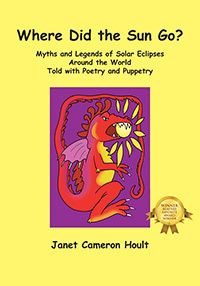 Her biography is included along with those of the Poets who participated in the Poetry Contest. We all live, work or visit Culver City and, as you can see, have developed pride, love and admiration for our town. 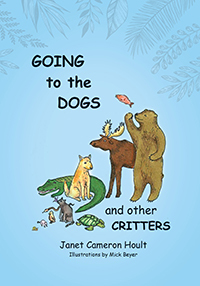 Proceeds from the sale of this book will go to the Culver City Historical Society.